Our first meeting for 2016 was a big one. We had 55 people on the register at the meeting and that was on the day of the AGM. 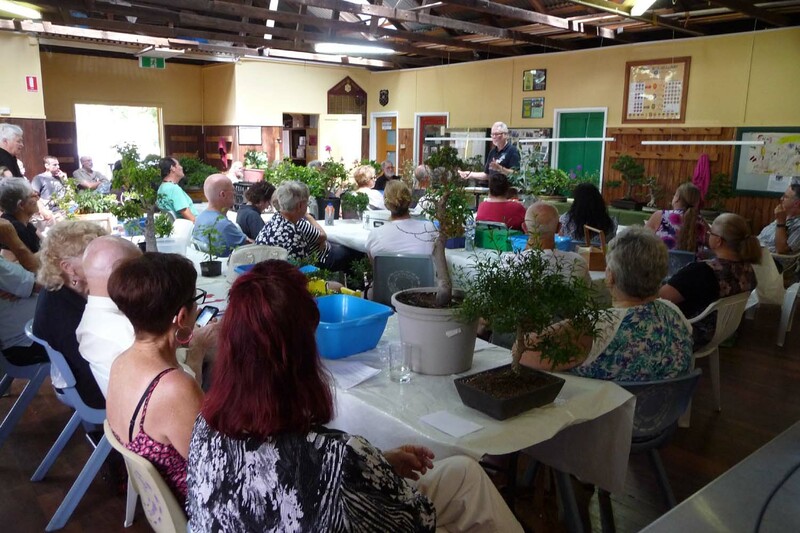 The format was a quick AGM followed by a short presentation by Rhett and workshop for the balance. Here is Rhett talking about his 'Timewasters' which was a good message about those exotic species that have been declared or were likely to be declared as environmental weeds. When reducing the load of a collection putting time into those that in the long run will be hard to sell certainly is a waste of time now. Rhett retired from the role of President and handed the mantle back to Geoff after a 12 month break. 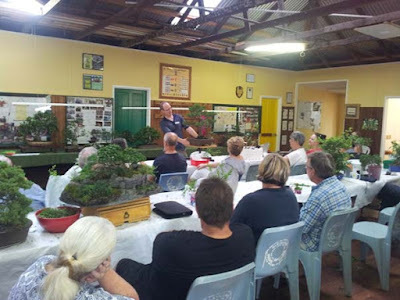 Here he is describing a raft of changes planned for 2016 in the way we want to offer targeted bonsai experiences appropriate for different member's experience levels. 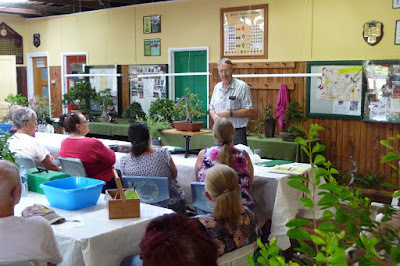 A final shot of Steve conducting the critique of members trees on display, looking to get the most learning we can for everyone at the meeting.